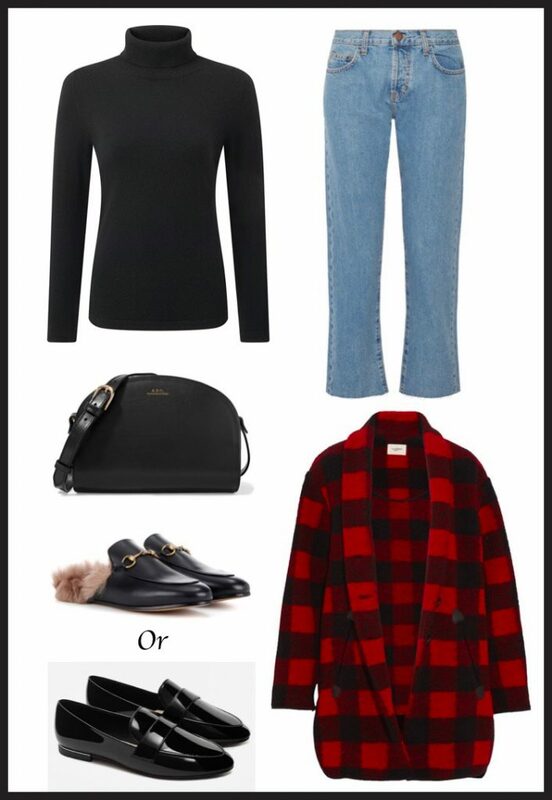 One of my favourite things to do is think about ways to style one item in your wardrobe, to show you how to get lots of wear out of investment pieces. 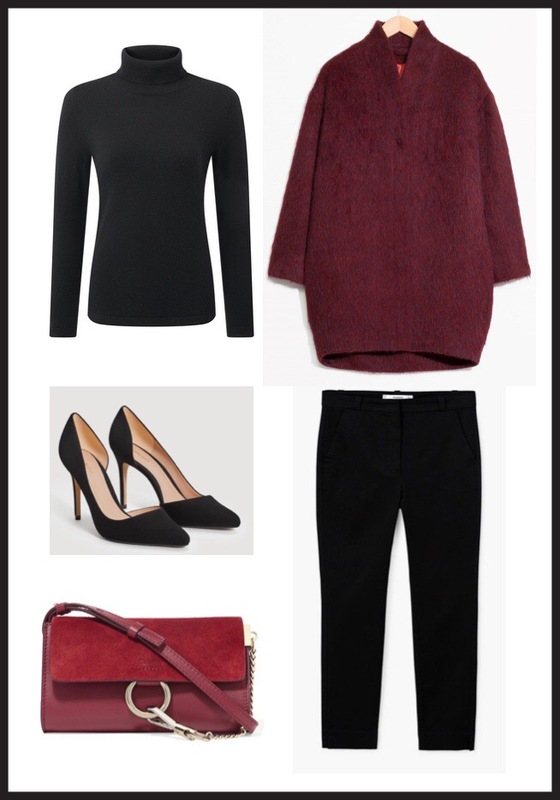 This black cashmere poloneck from M&S is £89, a really good price for cashmere and it would work hard in your wardrobe. 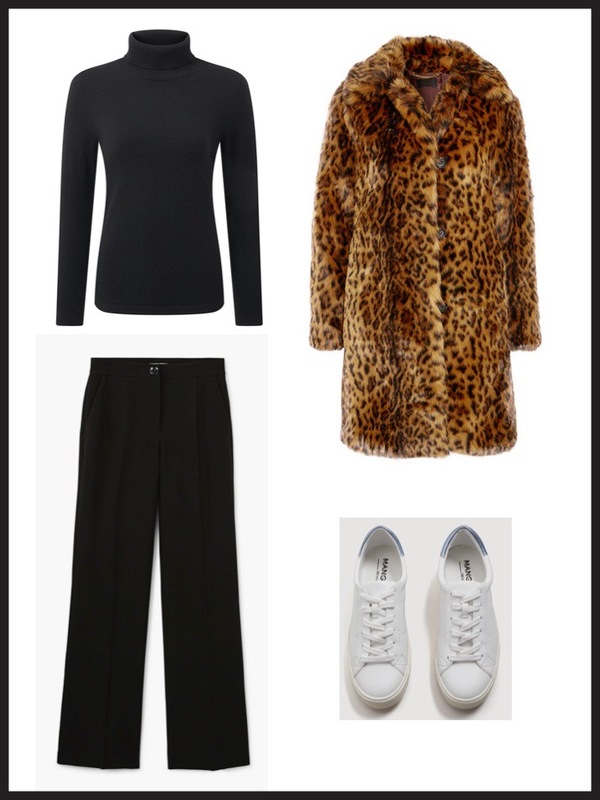 Hopefully these looks will give you a few ideas of how you could wear it with existing pieces in your wardrobe. This look is one of my favourites. 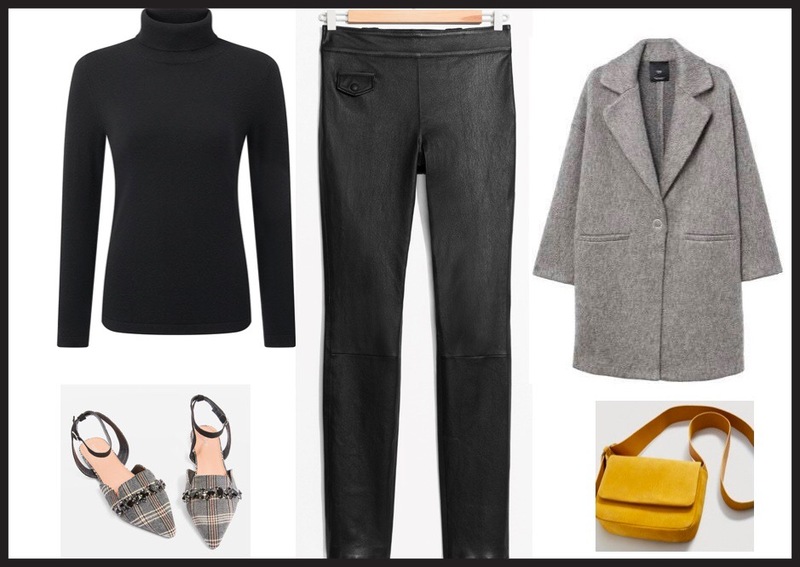 You can’t beat a pair of leather trousers, pretty flats, a gorgeous knit and a coat. Just add a pop of colour to your dark neutrals with a colourful handbag. This yellow suede cross body bag from Mango is gorgeous and a great price at £35.99. The leather trousers from Andotherstories are also a good price for leather. I haven’t tried them on, so I am not sure about the fit but they would be worth checking out if you are looking to invest. I actually bought the flats from Topshop (£15 in the sale, but I think only size 5 left) and they are comfier than you’d expect. I love wearing a black poloneck under a maxi dress in winter. At a modest height of 5’4, I find that maxi dresses drown me if I wear them with flat boots. 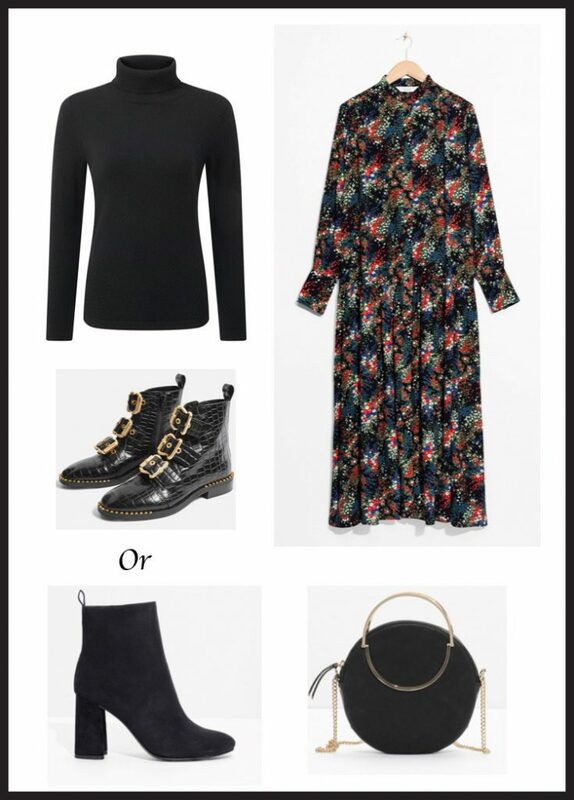 I do love the contrast of a feminine maxi dress with a masculine biker boot, but I think this look is probably better suited to the vertically gifted among us. I would opt for this suede boot with a heel instead. Finishing off with the perfect every day look. 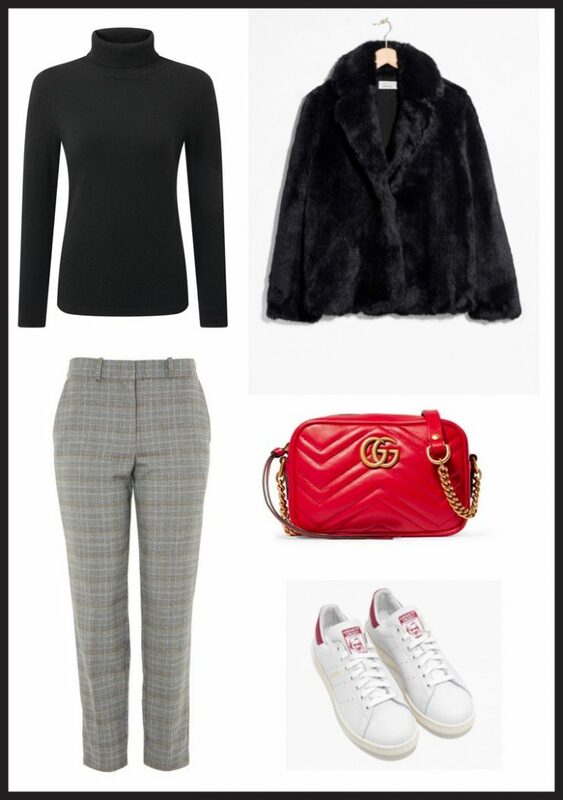 It’s stylish yet practical and would take you from the school run, to work, to dinner with ease. So there we go, one poloneck, six ways. I hope you’ve enjoyed this post. I plan to do more like this, so do let me know if they’re helpful in the comments below. Yes! Love the way you’ve done this post Chloe! Love this post. Those topshop boots are amazing. Just seen them in beige suede. Not sure my shopping ban is going to hold beyond the end of the week!!! Kids eh! 🙂 I am so glad you love them too, they are so comfy aren’t they!